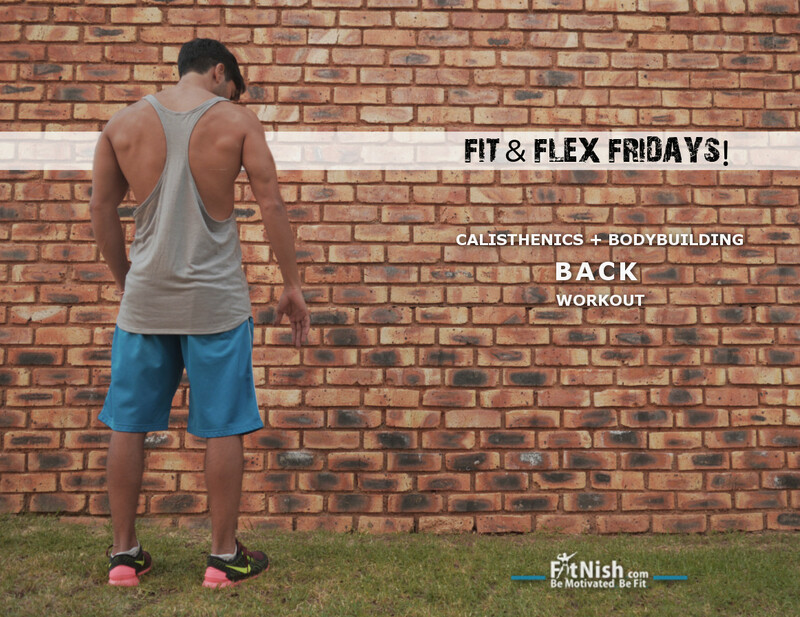 This is the first of the Fit & Flex Fridays (FFF)! posts, where I will just highlight one of my workouts I did during the week, for anyone to give a try or modify for themselves. After switching to only calisthenics training for quite some time I decided to include some weights back in, to increase overall strength and to get back into the bodybuilding feel of it, and to target specific muscles that I had neglected. The workout covered here is predominantly a back workout starting off with some calisthenics work and holds and includes the basics, nothing fancy or complex at all. When in doubt stick to the basics. The calisthenics part is focused on pull ups and the front and back levers as well as the human flag. I am working towards mastering the front lever. So following on from one of the previous posts this is a #backlever now, quite a drastic improvement ? but it did take quite a bit of time!? When we all start we want to immediately be able to do all the fancy stuff but it doesn’t work that way. So if you’re starting out remember that it all takes time. Band work (band lat pull downs, rows) just to warm up. Explosive pull ups | 3 sets of 4 – 5 reps. Try getting over the bar almost into a muscle up here. They are quite taxing at first but keep at it to get used to them. This will get the shoulders warm and give them a small stretch getting ready for the back levers. It is also a great core exercise. Back lever holds | 4 sets. Depending where you are at with the back lever just move into the position that you can hold, and hold there for a bit. Be prepared to tire quickly when you start out. It’s quite demanding on your body and energy levels so when you get to a point like this where everything’s exhausted don’t stress about it too much, just get some food and have a rest.? Close grip pull ups (chin ups) with tuck lever extension at the top | 3 sets of 3 reps. The extension at the top will help strengthen the muscles for the front lever, but if you find yourself too tired by now to do it don’t sweat it, just stick to regular chin ups. All exercises are mostly kept between 6 – 12 reps.